BT has left an indelible mark on electronic music and the technology and techniques that make it possible. The architect behind classics such as ‘Flaming June’, 'Every Other Way' and 'Love Comes Again' developed and sold his own software company Sonik Architects to software mavens, iZotope, in early 2011. Not content to just hold a patent for his signature technique Stutter Edit (which can be heard on the likes of songs by artists such as Lady Gaga, Skrillex and Black Eyed Peas to name a few), he turned this technique into an application used live and in the studio not only by those listed above but Rihanna, Ke$ha and innumerable others. Besides orchestral and electronic full film scores such as ‘The Fast And Furious’ and ‘Monster’, he’s also worked with the likes of Madonna, Britney Spears, Tori Amos, David Bowie, Tiësto, Armin van Buuren, Paul van Dyk, Peter Gabriel and many more. You’ll rarely catch him producing tracks in one particular style. His productions range from classical and orchestral pieces to ambient, break-beat, art-rock, trance, progressive and anything in between. His new album is the accumulation of over 20 years of pioneering music and innovation in the dance music scene, this album is a return to his roots in many ways. On the album, he collaborates with the likes of Arty, Nadia Ali, Adam K, tyDi and more. 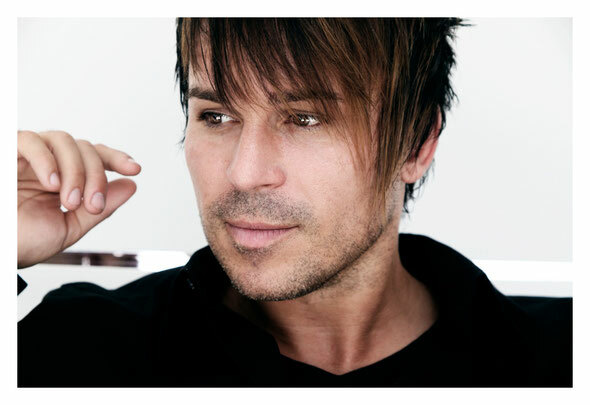 The first single of the album, BT & Arty feat Nadia Ali ‘Must Be The Love’, will be released in May 2012. Check out www.armadamusic.com or www.btmusic.com for more information.